Small firm attorneys -- are you treating your employees right? Being a lawyer is hard, but being a part of the staff at a law firm, no matter what the size, is just as difficult. 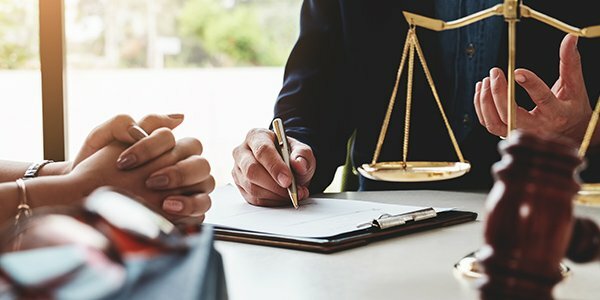 The law is a niche industry -- think about what those who are working for you have to pick up on if it took years of experience, going to law school, and taking the bar exam (once, if not more) for you to get to where you are. They work hard, and this should be acknowledged and encouraged. Show appreciation. Don't just bark orders at them to look up this case or file this brief as soon as possible -- acknowledge when a paralegal or your secretary has been continually meeting deadlines and following up on requests efficiently and accurately. This can be with a genuine thank you. A little bit of positive reinforcement is not only going to go a long way, but it shows some well-deserved respect. Check in. Make sure that you check in with your staff -- but, in the right way. Don't be too micromanage-y and watch over (or restrict) everything. But, make an effort to have periodic check-ins with your staff members to ensure that they are comfortable with the pace, the assignments and workload you are giving them, and just their general state of well-being at the firm. Create a pleasant atmosphere. The working conditions that you implement at the firm are more crucial than you'd think -- a Casual Friday goes a long way, for one. Also, if someone is using an uncomfortable chair, not getting enough light, or just in general in a less-than-ideal working atmosphere, check to see what you can do to help them with it. Remember that an occasional work retreat is always fun and a good exercise in team building, as well. Use food as incentive. Never underestimate the power of free food. Food is not only a pleasant break, but it can help to encourage both productivity and something to look forward to from your employees. Treat them as equals. Whether or not you believe there's a pecking order at your firm, you should never talk down to your staff members. The best way to treat your employees and staff is as a unit. Without them, you wouldn't be able to operate as functionally as you have been. You should always be keeping your employees in mind. Remember, even the smallest of details can go a long way. Editor's note, November 22, 2016: This article was first published in November, 2013. It has since been updated.